The definitive and most comprehensive guide to galleries, museums and events in the art districts of Santa Fe. Interested in landscapes, contemporary painting or black & white photography? Explore the Art Districts of Santa Fe and discover your zone. What’s happening? Stay informed about gallery openings and art events throughout the year, throughout the city. Never miss a beat. Santa Fe’s colorful and historic Canyon Road is home to centuries-old adobes and an eclectic mix of galleries, cafes and boutiques. Featuring more than 80 galleries, Canyon Road is Santa Fe’s longest-established arts district. In the Railyard District the spaces are big and contemporary, and the art is too. Home to SITE Santa Fe, the Farmer’s Market, Jean Cocteau Cinema and free summertime events. Voted one of the nation’s 10 Best Art Districts in a USA Today Readers Choice poll. The heart of Santa Fe beats with art. Here, in this district surrounding the Plaza you’ll find more than 75 galleries and museums, including the Georgia O’Keeffe Museum, New Mexico Museum of Art and Native American jewelry vendors under the portal at the Palace of the Governors/New Mexico History Museum. This industrial neighborhood is recognized as an artistic and innovative hub, cultivating artists, performers, craftspeople, trades-people, makers and innovators. At the heart of the district is the internationally renowned Meow Wolf, MAKE Santa Fe and ART SMART. 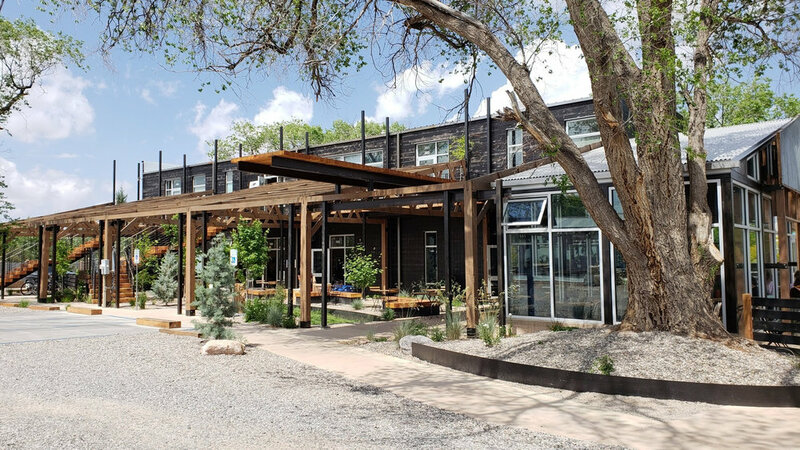 This district is a favorite destination for those seeking to experience an alternative side of Santa Fe.